Here’s the fourth in our Managing Tricky Dismissals series: five short blogs where we look at complex dismissal issues and how to approach them. The first job in this situation is to work out what the individual is complaining about. Is it actually a grievance or is it a complaint about the process itself? If it’s about the process, the correct forum is to deal with it is within the process itself and it shouldn’t hold up matters. However, if the employee is raising a genuine concern which could impact on whether the process itself was fair, then investigate before going any further. An employee is under performing and is subject to the performance management process. The employee raises a grievance before the first meeting and says that they believe that “the process is unfair and as they have hit their targets”. 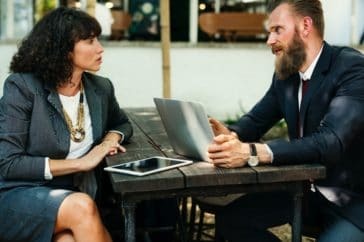 This can be dealt with at the performance management meeting, where the employee will be given an opportunity to provide an explanation for their under-performance. This can be taken into consideration before any decisions are made regarding whether a sanction is issued. However, if the employee says that it is “unfair that they have been subject to the process as there are other people who have also not hit their targets, but not been subject to the process, and therefore they believe it’s because of a protected characteristic – then this should be investigated before going further. If there is no evidence to substantiate the grievance, the performance management process can then continue. Here’s four more sticky situations and how to handle them. The content provided in this blog is for illustration purposes only and does not of itself constitute legal advice. It is your responsibility to ensure that these blogs are used in the correct context. Where tailored legal advice or further guidance is required it should be sought from a member of the Vista team.